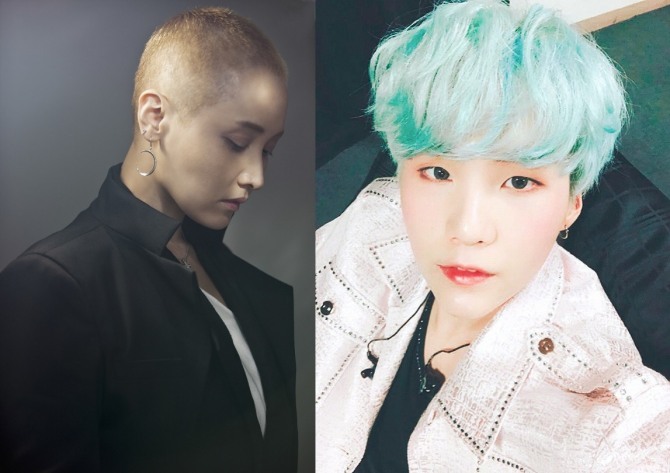 Suga of BTS has lent his voice for singer-songwriter Lee So-ra’s upcoming single. According to Lee’s agency on Friday, the BTS rapper has joined on for her new single, “Song Request,” which is slated for release Tuesday. It marks the first time for Suga, widely known for his songwriting and producing skills, to feature in another artist’s work. The agency added that Suga also participated in penning the song’s rap portions, while the track was written and composed by Tablo of hip-hop trio Epik High. Suga and Tablo’s connection is well known to K-pop fans, as Suga has openly expressed his love for Epik High, naming the hip-hop group’s mega hit “Fly” as his musical inspiration. Led by soothing piano sounds, “Song Request” is to offer a feeling of comfort to listeners, as if listening to late-night stories on the radio. Lee, who debuted in 1993, is considered one of the most accomplished female vocalists in Korea, and is known for her unique vocals and musicality.